This custom theme created for Blade.org serves as a community for users of Blade servers. Users can post like any other forum but this forum features a custom built media library, fresh styling and the ability for users to submit posts/questions experts for a quick professional response from the creators of the hardware or software they are posting about. Its quite a unique forum and with proper promotion and maintenance it could serve as a valuable resource for Blade server users and vendors alike. 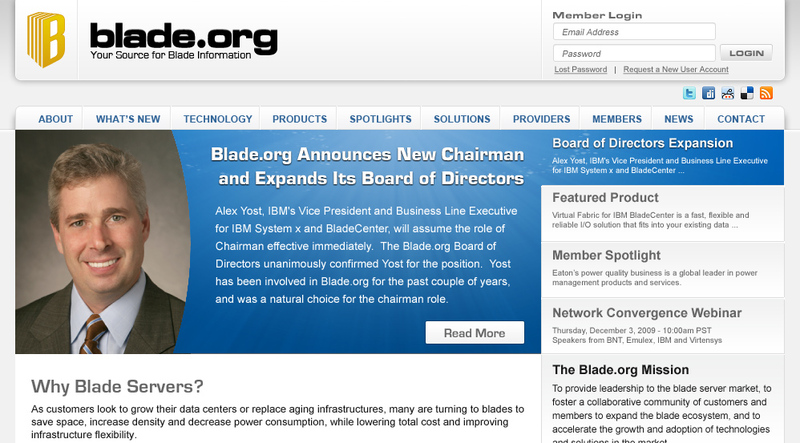 Recently I took a chance at redesigning the home page for Blade.org. The idea behind the design was obviously a to give it a fresh look and bring important information to the front page instead of having to dig for it. 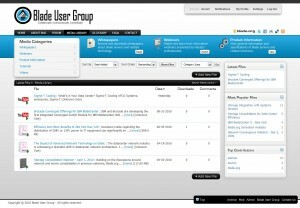 Blade.org has a lot of technical papers for blade servers and related products.